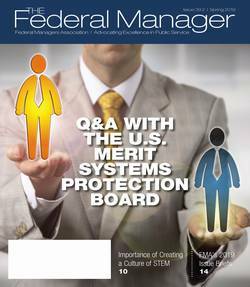 The Federal Managers Association (FMA), established in 1913, is the oldest and largest association representing the interests of the 200,000 managers, supervisors and executives serving in today’s federal government. MISSION: FMA advocates excellence in public service through effective management and professionalism, as well as the active representation of its members’ interests and concerns. FMA advances its mission through consultation in the Executive Branch and advocacy in Congress, top-notch professional development programs, informative publications and networking opportunities for its members. MEMBERSHIP: FMA is the foremost federal employee organization representing the interests of the 200,000 managers, supervisors and executives in the federal government today. Federal employees are found all across the United States - click here to see how many feds work in your state! Eligibility for regular membership extends to persons responsible for or associated with the management and supervision of people, programs and resources. At-large, associate, and retiree memberships are also available. Membership levels and eligibility are detailed in our Join Now section.ADVOCACY: FMA actively engages in consultative relationships with top Executive Branch officials across the government as well as advocates to Congress on behalf of its members. FMA’s track record includes legislative and regulatory success in: federal management reforms to improve government operations; pay, compensation and benefits; and workforce flexibilities and optimization. FMA’s issue agenda addresses: cost effective government restructuring; competitive civil service pay and benefits; and maintaining the core values of the civil service. Advocacy efforts include congressional testimony, agency consultation, grassroots letter campaigns, and media relations. FMA is also involved in department and facility-level partnership councils. In addition, it is the founding member of several key federal employee coalitions. 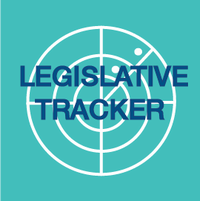 Detailed advocacy information can be found in FMA's Legislative Action Center. PUBLICATIONS AND INFORMATION: FMA members receive excellent publications and access to a wide range of valuable tools and information. FMA publishes: The Federal Manager, a quarterly magazine focusing on current management issues; the Washington Report, an exclusive e-newsletter detailing the latest developments on Capitol Hill and in the nation’s capital; Issue Briefs summarizing FMA's policy positions; and legislative action alerts, assisting members in contacting their elected officials in Congress. MEETINGS AND TRAINING: FMA sponsors an annual national convention in the Washington, DC area, regional conferences across the country, and programs at the chapter level. Our Events section contains details on current activities.